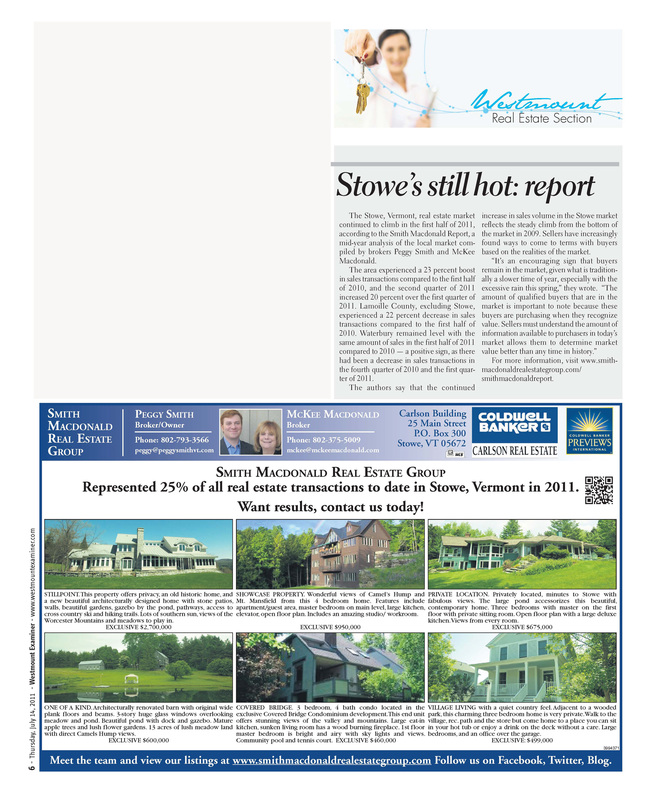 Although inventory in Stowe declined by 15% in 2011, this is still considered a buyer’s market, but people are buying as evidenced by the 23% increase in sales volume this past year. For those buyers thinking about starting their search understanding the mortgage process is paramount to reaching the goal of homeownership. Today’s lending environment has changed dramatically from before the economic downturn. Financial institutions became extremely cautious following the downturn as reflected in their lending standards. “Mortgage rates are near historic levels. Even though lenders have tightened up lending guidelines, with the right preparation and expectations, it is possible to take advantage of the current low rates,” according to Mark Stanton, CMP, of Primary Residential Mortgage, Inc. located in Stowe. For a buyer taking advantage of these rates this means often being able to afford more at a lower monthly payment. Check your credit score and status. Make sure to check with each of the three major credit bureaus – Equifax, Experian and TransUnion. Your lender can help with this. Figure out your down payment. To take advantage of the best rates many lenders require a 20% down payment of the purchase price. Know how much you have to put down and where it’s coming from.